In the first finals of the day, Toa Girls claims supremacy over veterans, Nukualofa Eleven, in an up paced match that saw scores tied at 2-2 at full time, and left supporters biting their nails. As the match spilt over to extra 30minutes, Toa Girls managed to seal the deal with desperate clean shot at goal by midfielder, Penateti Feke, completing her hat trick with only three minutes remaining and subsequently claim Victory for Toa Girls with a final score 3-2. But the major unset of the day came when old rivals, Marist and Lotohaapai took to the field. 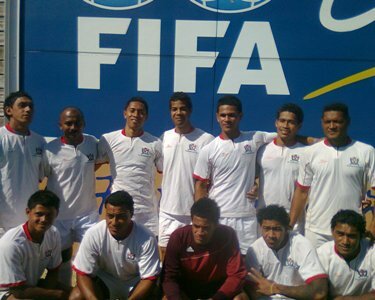 Maufanga Club, Marist, proved too good at the penalty shoot out, ending Lotohaapai’s winning streak to claim champion of Challenge Cup 2011 with a final score 4-3. In a match that can only be described as a classic, both teams battled on the pitch with great determination, as Marist took the lead to halftime at 2-1 from Folio Moaki’s free kick at goal. Determined to prove their worth, Lotohaapai’s Lafaele Moala, equalized at 15 minutes into the second half, and the dead lock could not be broken even after extra time. 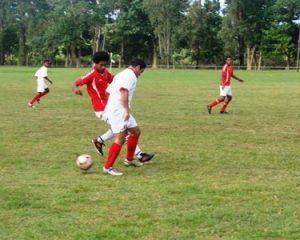 An additional 2 goals to Marist from the penalty shoot out cemented their Victory over Lotohaapai. Final score 4-3 to Marist.